1. Combine the marinade ingredients in a bowl. 2. Rub them onto the chicken lollipops. 3. Cover and keep aside until required. 4. Heat oil for the masala paste in a frying pan. 5. Add all the masala paste ingredients except salt. 7. Grind them together with salt and little water to a fine paste. 8. Heat 1/2 tsp of oil in an another pan. 9. Fry the marinated lollipops until golden brown. 10. Remove and keep aside. 11. Heat 1 1/2 tsp of oil in the same pan. 12. Fry the mustard seeds, fenugreek seeds and curry leaves for 45 to 60 seconds. 13. Saute the onions till soft. 14. Add the ground masala paste and fry for 2 minutes. 15. Add a little water and stir well. 16. Now add the tamarind extract and jaggery. Mix well. 17. Add salt and the chicken lollipops. 18. Fry till dark brown and evenly coated with the masala. 19. Reduce flame and add little water. 20. Cover the pan with a lid and cook till the lollipops are tender. 21. When the oil has risen to the top and the masala is thick and gravy, switch off the flame. 22. 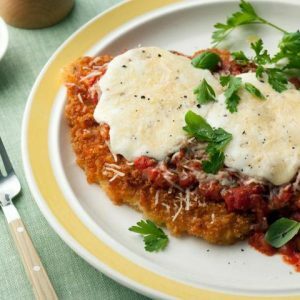 Remove and transfer to a serving plate. 23. 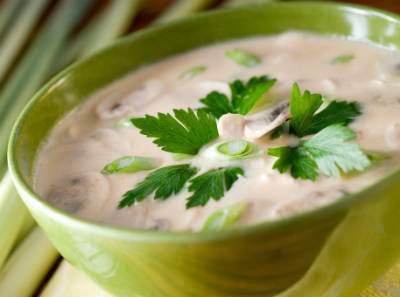 Garnish with coriander leaves and lime juice. 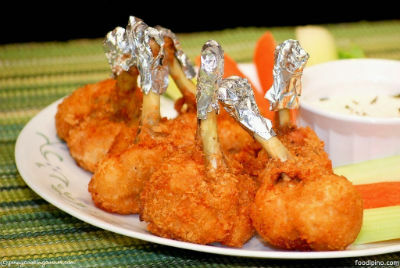 Feel free to comment or share your thoughts on this Chicken Lollipops Recipe from Awesome Cuisine.